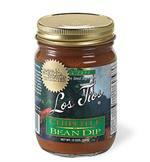 An award winning smoked jalapeño bean dip Uses: Can be used as a dip for chips, filling for burritos, seven layer dip or to top your nachos. 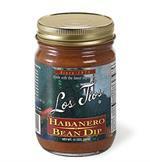 Our own bean dip made with roasted habanero peppers and tomatoes. Uses: Use as a dip, a filling for burritos and tacos. or to top your nachos.